Wise chieftains must always consider the needs of their tribe. 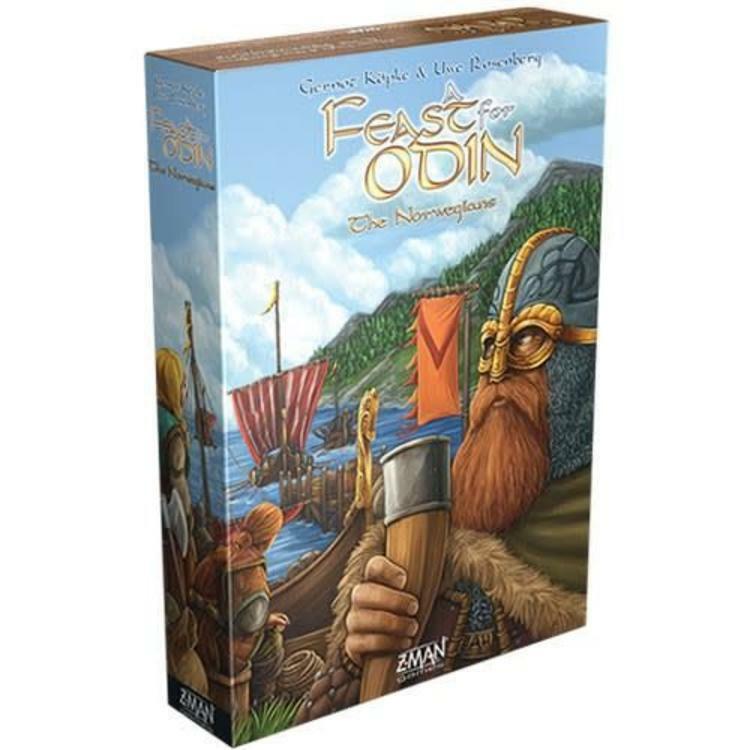 The Norwegians includes three new double-sided action boards specifically suited for varying player counts, adding new spaces and a fifth column. New actions provide different options for animal breeding, crafting, trading, hunting, and much more, enhancing nearly every aspect of the beloved A Feast for Odin experience. Choose carefully how you assign Vikings to tasks, as every decision you make can contribute to the prosperity or desolation of your tribe. This is not a stand-alone game. A copy of A Feast for Odin is required to play.